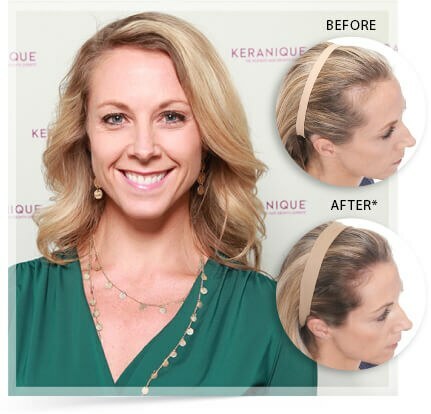 Does Keranique Work to Regrow Hair? The products feel & smell nice and are easy to use and immediately made my hair feel thicker and more full. As the months have passed, I’ve received positive comments from my husband, hair dresser and friends about how healthy and thick my hair looks and also that a lot of baby hairs are noticeable. Showing that growth is definitely happening! I hope to be a lifetime user of the Keranique System. 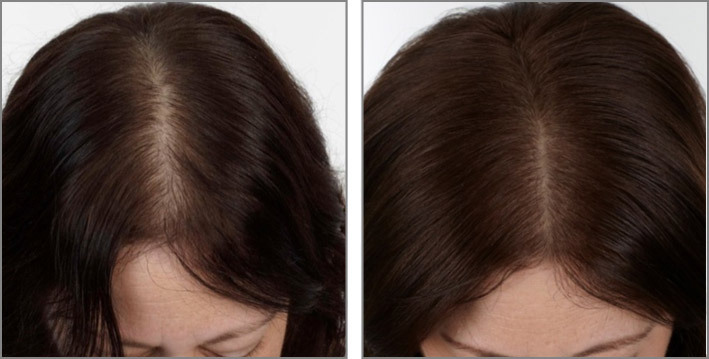 “I was devastated when I realized my hair was thinning. Hair loss is embarrassing and I lost my confidence. I was fed up with losing hair. I wanted to do something about it. I was lucky to find out about Keranique. 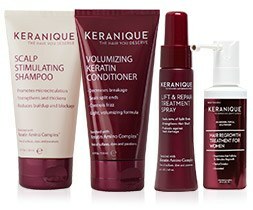 With the Keranique System, I have been pleasantly surprised by the amazing hair growth results. My hairline has grown fuller and thicker and longer. 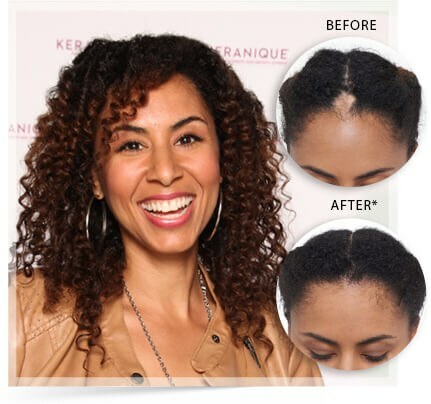 Bald spots are gone." “You need to try Keranique. If you're experiencing hair loss or thinning hair don't be afraid or embarrassed to speak up because you're not alone - and definitely don't wait (like I did) because your happiness / confidence does matter. Like most, I ignored the obvious thinking there was nothing I could do. 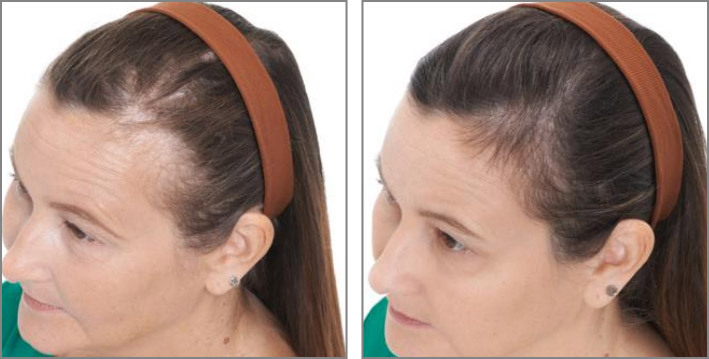 I even considered extensions but the cost and (potential) damage to my scalp and already thinning hair just didn't appeal to me. Then one day a friend suggested I contact Keranique. Initially I put it off thinking the results would be the same as the others... boy was I wrong! Keranique is the solution! 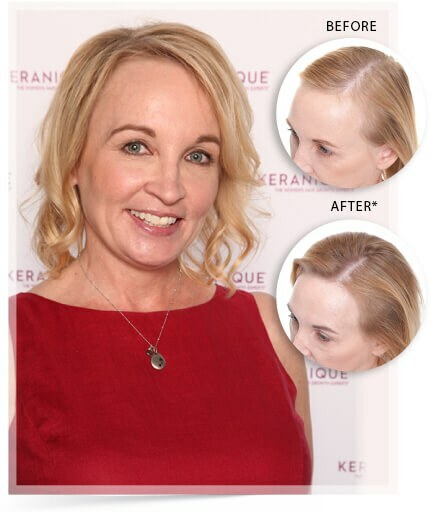 “I really am amazed at the results of the Keranique System. 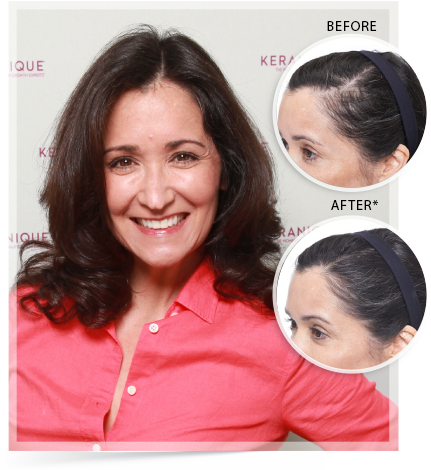 I was skeptical in the beginning but am now a believer that the product works. My hairline has grown in to be fuller, thicker, and healthier. The System is easy to incorporate into my daily routine and easy to use. My friends and family definitely noticed a difference. I’d seen a difference within the first month of use. Definitely would recommend to my family and friends. Just try it.. nothing else to say about this product but just to try it.. no convincing, no story to tell, you will see for yourself that it works. 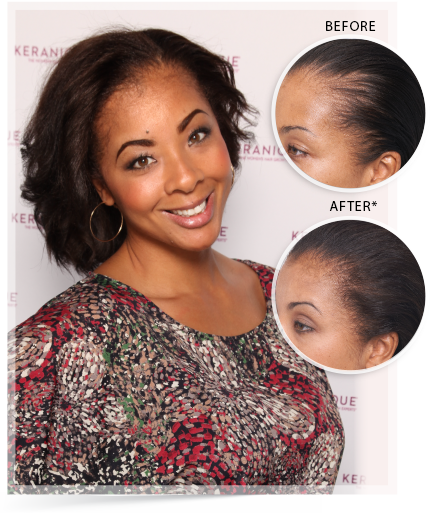 To me, Keranique is Amazing, to see real results has not only made me feel more confident but extremely happy . “It has been an incredible experience seeing and feeling the change Keranique has made to my life. I used to be so depressed about my thinning hair, I would cry myself to sleep. Now, after using Keranique, I actually feel confident to wear my hair down, and I get compliments now from friends noticing the huge difference in the look of my hair. My kids have even noticed there is no more ‘Mom hair’ on the bathroom floor!" 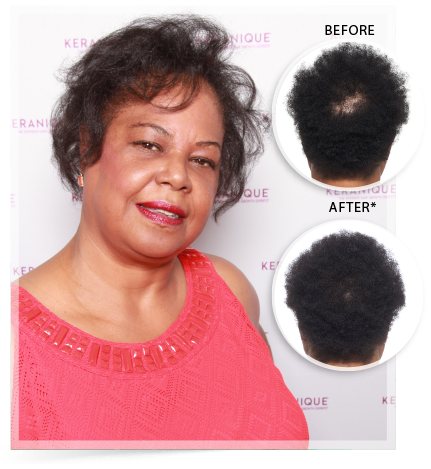 "My hair is definitely growing & healthier." 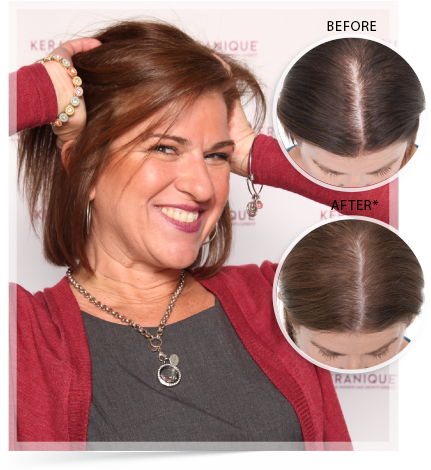 "My hair looks and feels great! I feel great! " 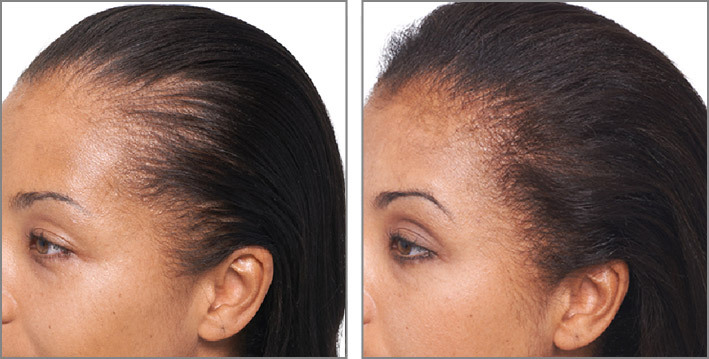 "The bald spots grew in with baby hairs." 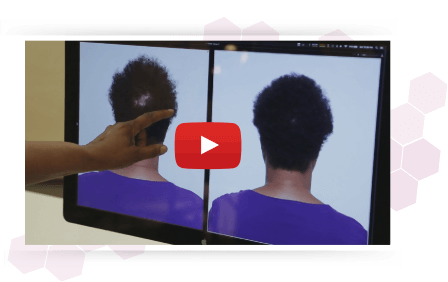 "The hair is thicker, fuller & richer in general." 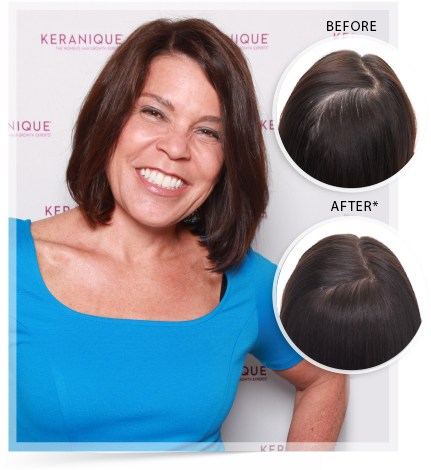 "Keranique has made my hair healthier and fuller. It has filled in the thinness." 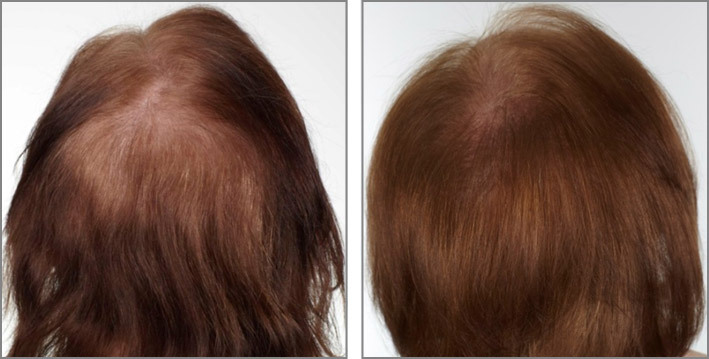 "my hair looks and feels fuller and better." 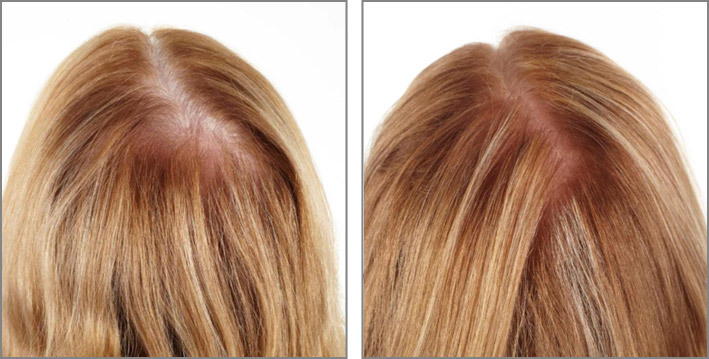 "I noticed a difference in my hair almost immediately." 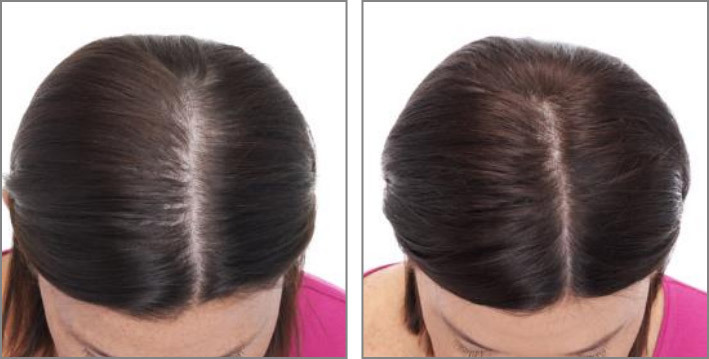 "The products I use everyday, I do see a difference my hair looks and feels fuller and better. 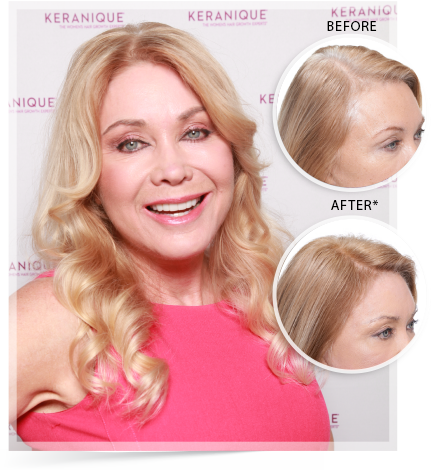 I feel very good using all the products." I noticed a difference in my hair almost immediately! I can’t imagine anything working better than Keranique! My hair felt thicker and fuller! 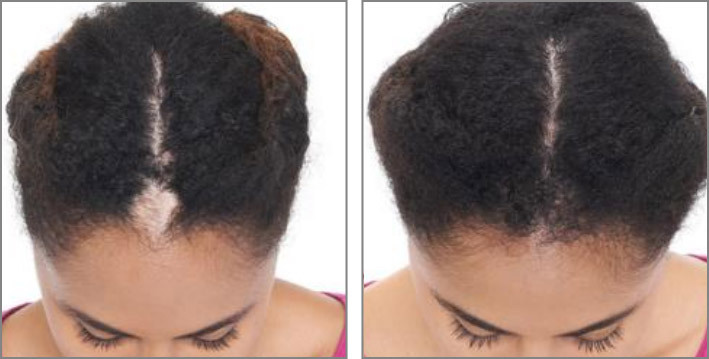 "My boyfriend noticed a difference after my first wash. My hair felt thicker and fuller after my first use and it cut my styling time from one hour to 20 minutes."